Luka Sulic and Stjepan Hauser make up the dynamic duo known as 2Cellos. Photo © 2011 Stephan Lupino. Once in a great while, new talent comes along that totally blows everything we know about art. That is what happened when two musical rivals, Luka Sulic and Stjepan Hauser, classically trained cellists, discovered rock and roll. 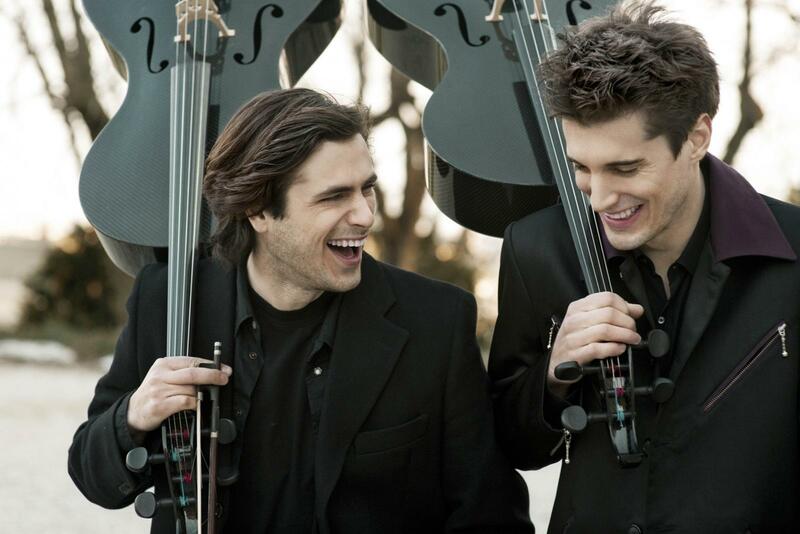 They have since joined forces as 2Cellos, performed on tour with Elton John, released a self-titled album in Summer 2011 that became a worldwide sensation, and have performed on television shows around the world, including the Ellen DeGeneres Show, Lopez Tonight and online as part of the iTunes Festival, streamed live from London. If you haven’t discovered them yet, watch their rendition of Michael Jackson’s “Smooth Criminal” below. They’re an act you are not likely to forget anytime soon. Prior to playing together, Luka and Stjepan had each become accomplished musicians in his own right, playing since childhood. Luka studied at the Royal Academy of Music in London on a scholarship from Sir Elton John. He went on to perform at venues like London’s Wigmore Hall, Amsterdam’s Concertgebouw, and Vienna’s Musikverein, among others. He’s also won numerous international prizes, including first and second prizes at the VII Lutoslawski International Cello Competition in Warsaw, 2009. Stjepan studied at the Royal Northern College of Music in Manchester. Since, he has performed at numerous venues around the world, including most of Europe, South Africa, New Zealand, Asia and the USA. Already, he has won 21 national and international competitions and has performed twice for Prince Charles at Buckingham Palace and St. James’s Palace. Visit their Website at www.2Cellos.com or follow them on Facebook and Twitter.